What’s with all the extreme punning in folk recently? We’ve had Red Hot Chili Pipers (see what they did there?) and the wonderfully titled Mo Hat, Mo Geansie (see what they did there?). 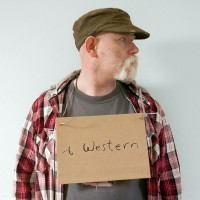 Latest aboard the punning bandwagon is Tradiohead, who, yes, cover Radiohead in a folk style. Jimi McDonnell is on vocals, Philip Fogarty on accordion and bodhrán, Pat Hargan on guitar and Michael Chang on violin, viola and mandolin.